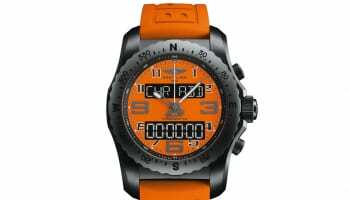 Breitling launched its latest illuminated pilots watch to the daredevil aviators at Reno’s famed National Championship Air Races. The Cockpit B50 was presented by Breitling, which sponsors the event in Nevada where pilots fly against each other on a set course. Breitling vice president Jean Paul Girardin was joined by former astronaut Mark Kelly and Red Bull Air Race competitor Nigel Lamb to introduce the new SuperQuartz chronograph. A COSC certified chronometer, the Cockpit B50 offers split-time and flyback functions, designed for race and waypoint event timing, as well as second time zone, perpetual calendar, dual alarms with audible or vibration alerts, lap timer and countdown functions. Innovative electronic tachometer and ‘chrono-flight’ time recorder functions have also been developed by Breitling with pilots in mind. The Cockpit B50 also uses aviation reference UTC time as its base. 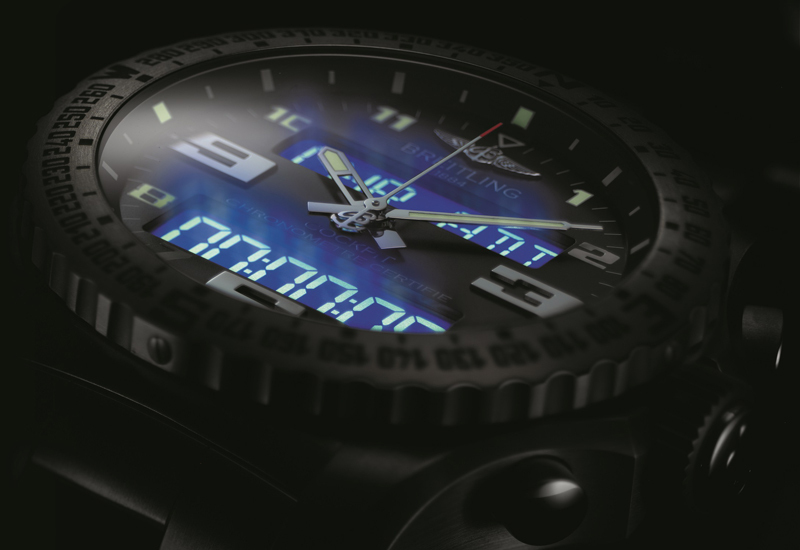 Two backlit white-on-black LCD screens with four levels of brightness can be activated with a tilt of the wrist and ensure the watch can be read in any conditions. 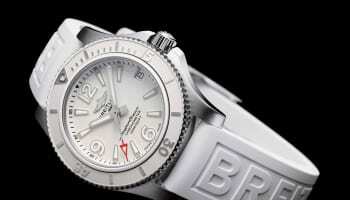 The watch’s rechargeable batteries can be recharged via the mains or USB. 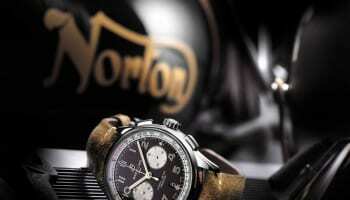 A special edition of the watch, limited to just 25 pieces, was available to purchase exclusively during race weekend. The special edition celebrates the 51st anniversary of the races, featuring its logo on the dial.